With snow on the ground and students and staff bundled up in warm clothing, it is hard to imagine that spring is just around the corner. But all around us, the trees are quietly awakening from the long sleep of winter, as sap resumes flowing and the trees prepare to bud. It is at this time in the natural cycle that Jews celebrate Tu B’Shevat, the festival of trees. Tu B’Shevat, which marks renewal in the natural cycle and the beginning of spring, arrives at an auspicious time for BaMidbar students and staff. This week students at BaMidbar are embarking on masa, backcountry excursion, where our connection to and reliance on trees is ever-present. We gather dead branches for fires to keep ourselves warm, use wood to make our bow drill kits to start the fire, and even forgo metal and plastic eating utensils, choosing instead to carve our own spoons out of wood. The trees are a source of beauty, and a habitat for the wildlife students are beginning to learn about. On Tu B’Shevat next Tuesday, we will celebrate with a seder, a a ceremonial meal, atop the aptly named Givat Ilanot (Hill of Trees). The Tu B’Shevat seder, developed by the Kabbalists, is a ritual meal that celebrates the fruit of trees. We will also integrate Torah learning, mindfulness practices, and exploration of our environment. Some of our hand-carved spoons, made from the trees all around us! In the Mishna, Beit Shammai said Tu B’Shevat should be celebrated on the first of Shevat, on the new moon, while Beit Hillel said the holiday should be celebrated on the fifteenth of Shevat, on the full moon. One commentary shares an insight into the disagreement. On the first of Shevat, it is still fully winter, the moment before a change is about to occur. It is a moment full of potential, like the new moon, or the planting of a seed. On the fifteenth of Shevat, the trees have begun the process of renewal, and take the first steps in the process of producing flowers and fruit. Beit Shammai values potential, while Beit Hillel celebrates the actualization and expression of that potential. By waiting until the process of change has actually begun, we practice patience, and honor the resources and energy that change requires. Students arriving at BaMidbar have taken a momentous step by coming out to the wilderness for this journey of self-discovery. The potential of the moment is palpable. And yet, just as our ancestors in the land of Israel patiently waited for years to eat the fruits of the trees they planted and nurtured, we too must be patient. This process will take real work, and it will take time. As students see the potential for growth in themselves, they begin to work on the skills that will make that growth possible – practicing mindfulness, committing to goals, healing relationships, and taking on the challenges of self-exploration and growth. As students return from masa and celebrate Tu B’Shevat, they can say with confidence and with patience, that they have initiated the actualization of their potential. BaMidbar’s Tu B’Shevat seder is possible through the generous support of Hazon. Hazon creates healthy and more sustainable communities in the Jewish world and beyond through transformative experiences, thought leadership, and capacity building. 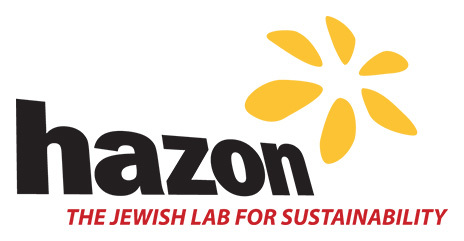 In Fall 2018, Hazon awarded BaMidbar a grant to support creation of organizational food policies, development of holiday programming for Tu B’Shevat, Passover, Shavuot, and Sukkot connecting land, food, and Jewish tradition, and development of educational programming about nutritional considerations for mental health and wellness.